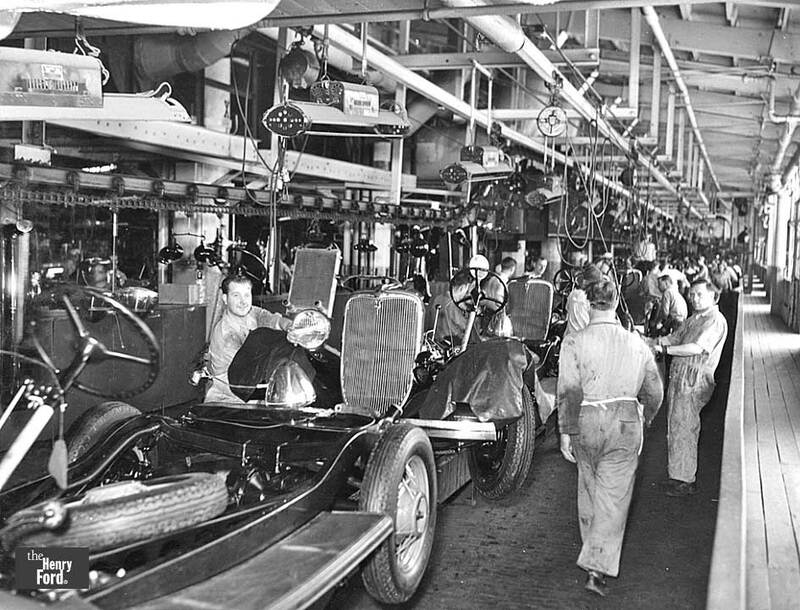 The Ford Motor Company’s River Rouge Plant in Dearborn, Michigan was completed in 1928 at a site along the River Rouge. 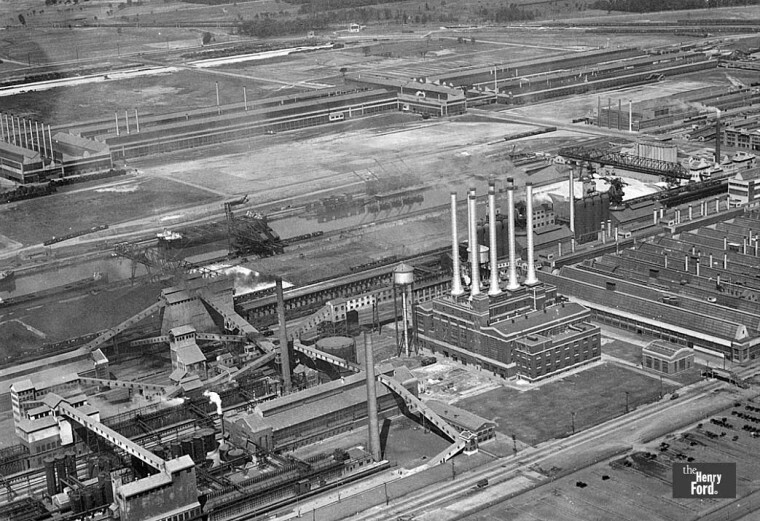 The manufacturing complex was the largest, and most productive such plant of its time. Henry Ford had the factory set up so that the company could not only manufacture as many parts as possible, but also ship by company boats most the of raw materials needed in production. Today we are featuring seven images of the assembly line in the 1932-’34 period and following the photos a 1938 video, A Trip Through the River Rouge Plant showing the operation in detail. 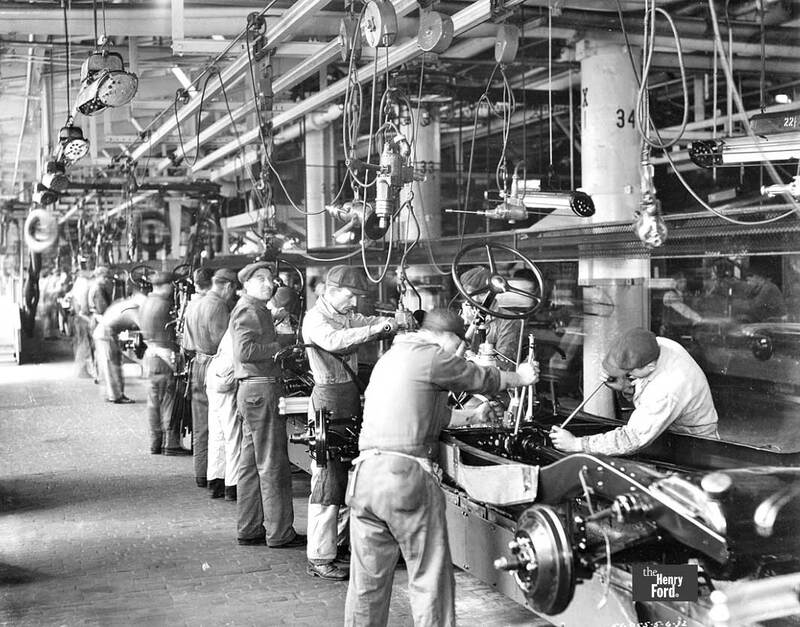 The photos are courtesy of the Henry Ford, where you can to learn about the Henry Ford Museum and Dearborn Village. The Ford Motor Company’s River Rouge Complex August, 1931. 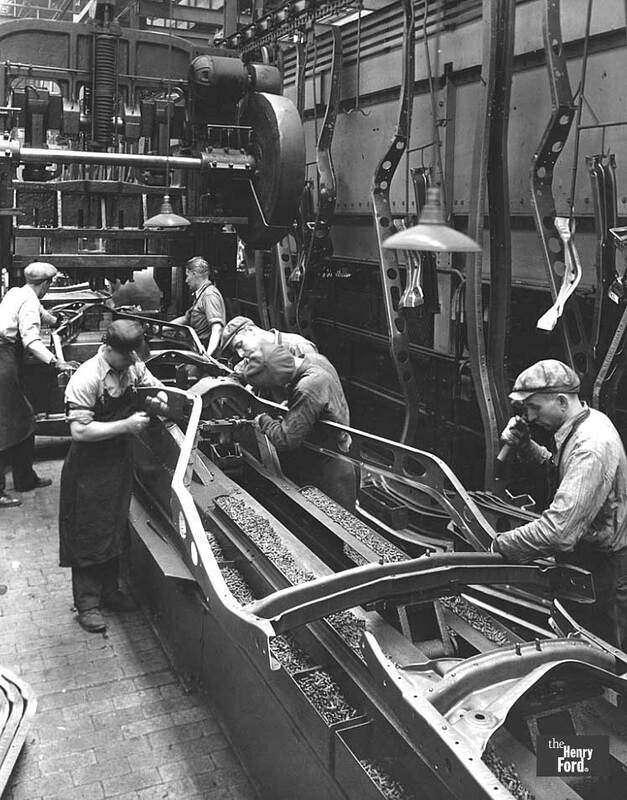 Completed chassis’ with front sheet metal being added on the assembly line, September 1, 1933. 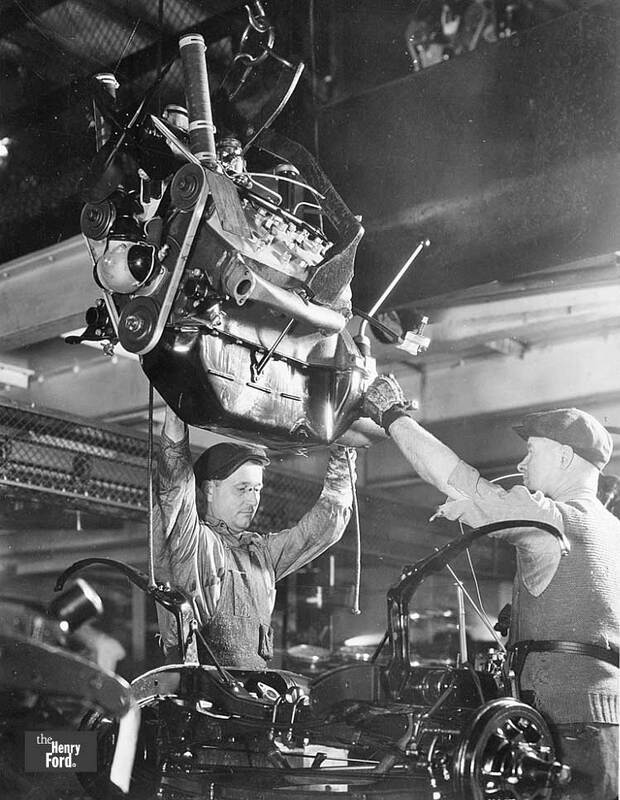 Engine drop into the chassis 1934. Steering Wheel Molding Machine November 15, 1934. 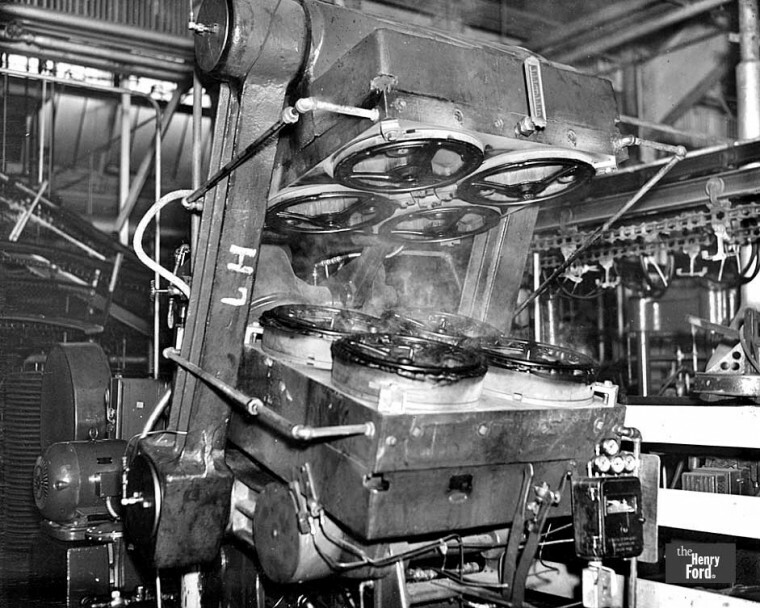 Narrated by Lowell Thomas, A Trip through the River Rouge Plant documents the manufacture of a new Ford from the processing of raw materials to the finished product as it winds it’s way through the giant plant in 1938. The watermark at the top disappears at the 1:30 mark.